My dad loves to fish, so when it comes to making cards for him, I like to challenge myself with this theme (see my gallery for a few examples). “The Great Outdoors” design card for the Making Memories Slice has some fishing-related options, and when I saw them, the idea for my card below came to mind. I found it would be easier and more accurate, however, to cut the “windows” in the card using my paper cutter instead of trying to do it with my Slice. 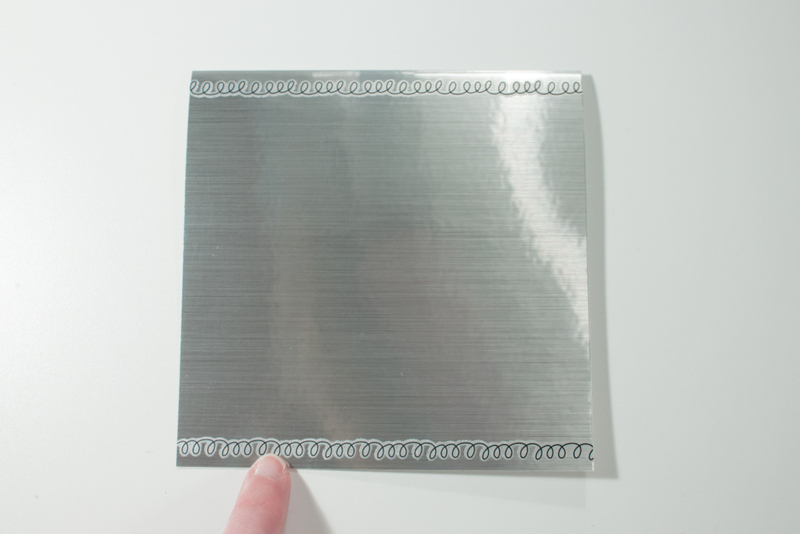 Make a card from a 5-by-10-inch piece of shiny silver cardstock. Apply doodle-border rub-ons (I used one from Mini-marks Accents Book One by American Crafts) to the top and bottom of the card front. 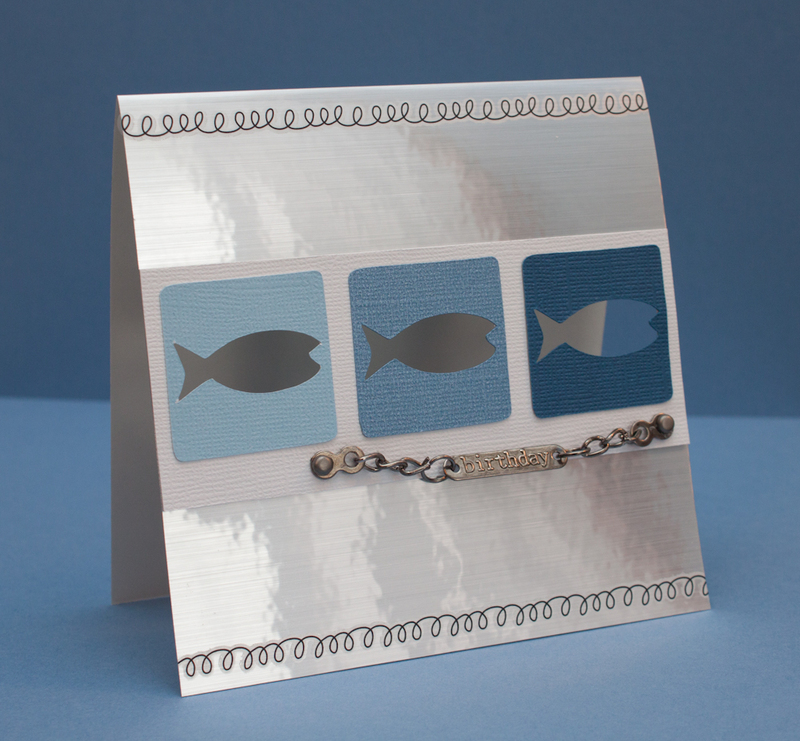 Using the Slice and “Outdoors” design card, make three 1 1/2-inch cutouts of squares with fish from light-blue, medium-blue and dark-blue textured cardstock. Cut a 2-by-5-inch piece of white textured cardstock. Position the die-cuts on near the top of the white cardstock’s long edge, but do not adhere. 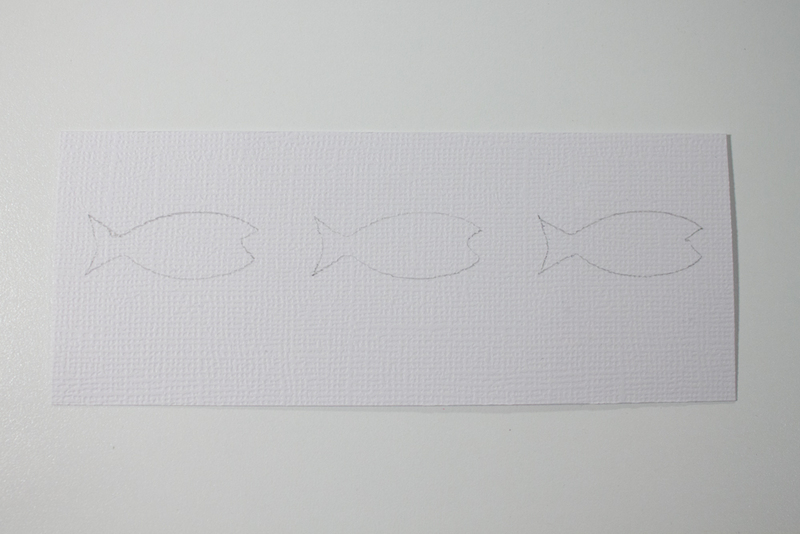 Trace the fish shapes with a pencil. Set the die-cuts aside. Using a paper trimmer or scissors, cut rectangles around the fish shapes drawn on the white cardstock. Position this piece over the center of the card front, but do not adhere. Trace the rectangles onto the card, and cut them out. Attach a “birthday” embellishment (I used one by Karen Foster) to the bottom-right corner of the white cardstock with two metal brads. 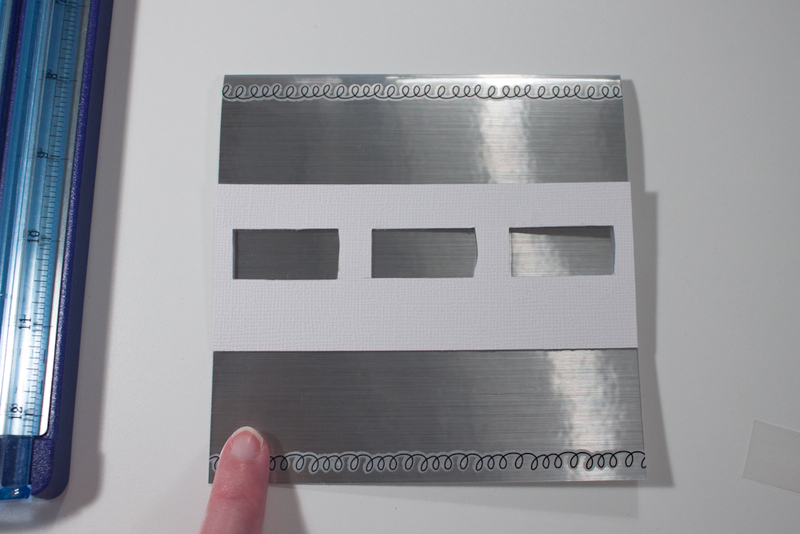 Adhere the white cardstock to the card, lining up the “windows” on the card and white cardstock. Adhere the die-cuts over the windows. 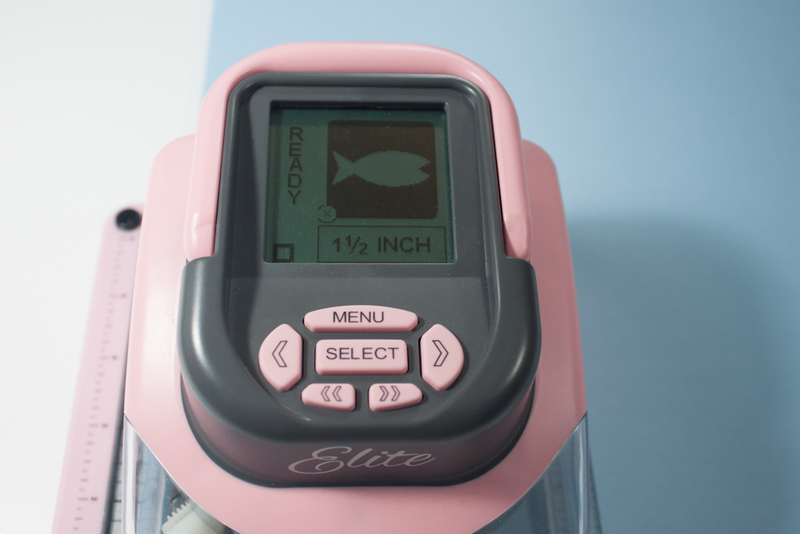 This entry was posted in Birthdays and tagged Fishing, Making Memories Slice. Bookmark the permalink. What a neat card, LOVING your accents. This turned out great! Cool idea!